Mom, the Intern: All ready for Halloween. Guys, I love Halloween. It feels a little sacrilegious to say this, because Christmas should obviously be the favorite for any God-fearing woman, but ... Halloween is just so much dang fun! And around here, it symbolizes so much more than treats and tricks -- it means you can wear pants and not die of heatstroke. It means you can go outside without turning into vapor within seconds. It means the most beautiful weather in the world is HERE TO STAY! At least until March. 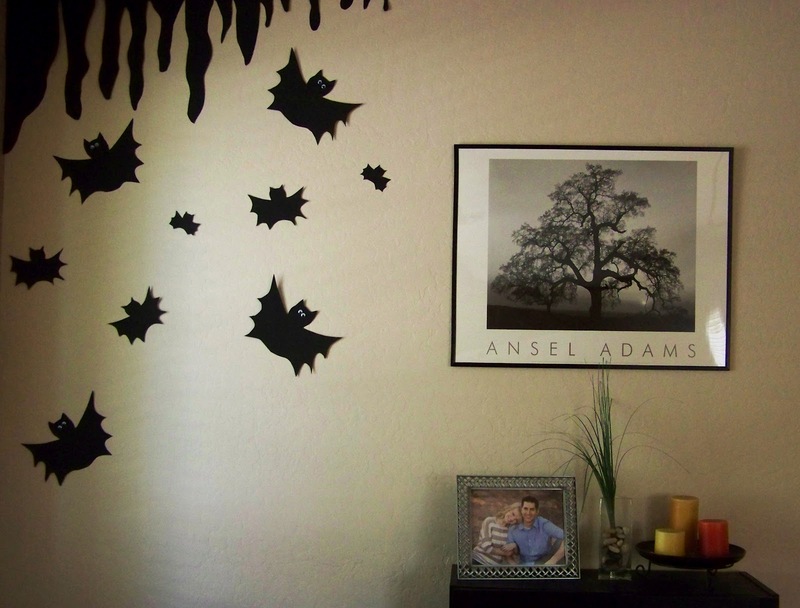 Next week, I want to show you all how to make the bat cave and the skeletal pumpkins. It's easy and it will only cost you a few bucks! As for Mr. Crow, head to your local Dollar Tree and snag him for a buck today! Love it! Where did you snag your black candlesticks? I need some too! Love the bat cave and i was actually gonna ask how you did it, so im glad that you are gonna show us how.